When Melky Cabrera’s suspension came down, I thought the Giants’ playoff hopes would come crashing down. Clearly, I was wrong. His removal from the team has actually brought his former teammates closer. These Giants are winning without Cabrera — although they could use a healthy left fielder right about now. But they aren’t rid of the suspended Cabrera — or issues involving him. If the Giants make it past the Division Series, they will have to decide whether they want to allow Cabrera back into the clubhouse. His suspension would run out after the fifth postseason game and like any player suspended, he’d be eligible to return to his team if they wanted him back. 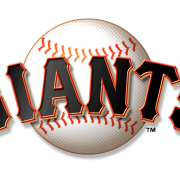 CSN Bay Area’s Andrew Baggarly is reporting that Cabrera has asked the Giants if and when he should report to get ready for the postseason. Baggarly writes that he believe Giants management wants nothing to do with Cabrera playing for the team again this season. The Giants have to re-instate Cabrera to the 40-man roster when he’s eligible. If they don’t put him on the active 25-man NLCS roster, it’s likely that he will file a grievance against the Giants for holding his suspension against him. The Giants also have the option of reinstating him and then designating him for assignment immediately. Another issue the Giants — typically the players — have to decide on is whether to award Cabrera a share of playoff money. Players usually get together and decide if partial-season teammates should receive full or partial playoff shares depending on their impact on the team. 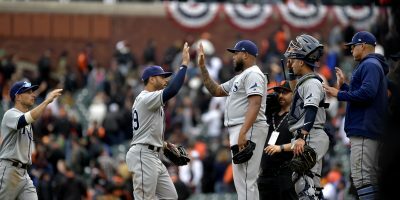 The Chronicle’s Henry Schulman wrote on Sunday that there are some in the clubhouse that want to award Cabrera a full playoff share as a reward for his contributions prior to his suspension. Others, though, are still upset with Cabrera for not addressing the team before he left the clubhouse on August 14. 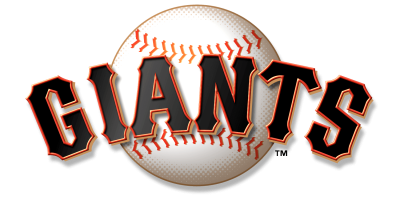 Krukow on #SFGiants 4-1 roadie w/o Melky: "He never addressed the team, and it pissed them off. They've used the anger to forge chemistry." Cabrera doesn’t deserve a spot on the Giants roster this season or a piece of their playoff money. He forfeited both when he decided to cheat. He forfeited any mercy from his teammates when he walked out on them. If I had been a member of that clubhouse, I would have expected an apology, at the very least. The Giants have proved, to this point, that they don’t miss his still-league leading .346 batting average. He doesn’t deserve to reap the rewards of what his teammates are fighting for.